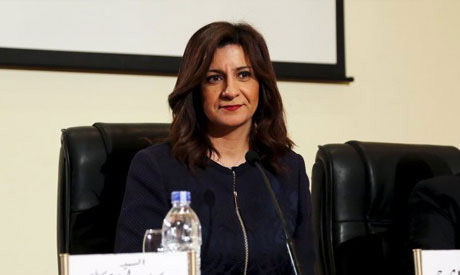 Minister of Immigration and Egyptian Expatriates' Affairs Nabila Makram told MPs on Monday that the number of Egyptians living in African states reached 46,000 in 2018, with 40,000 of those in South Africa. “There could be others who are not officially registered, but nobody knows how many they are,” she said. Makram indicated that the immigration ministry, in collaboration with other ministries, is working hard to increase the number of Egyptians doing business in African states and also increase the number of Egyptian workers in African markets. Makram revealed that she will make a number of visits to African countries very soon, starting with South Africa, where a large number of Egyptians live and work. “This will come with Egypt becoming the chair of the African Union in 2019,” she said. For his part, Tarek Radwan, head of the African affairs committee, urged the Ministry of Immigration to take all the measures necessary to prevent Egyptians from going to neighbouring Libya. “It is very sad that the number of Egyptians going to Libya in an illegal way has increased, despite the negative security conditions there, just to seek jobs or to go to Europe in an illegal way,” said Radwan. In response, Makram said the immigration ministry is coordinating with the ministries of interior and defence to prevent any kind of illegal migration to Libya.